Pete Greig has been teaching on prayer - and leading a non-stop prayer movement - for twenty years. Now, for the first time, he puts his life's work into a simple book written for everybody - an answer to the question everyone ultimately asks: how do I pray? This down-to-earth introduction to prayer will guide you deeper in your relationship with God - making you more centred, more aware of God's voice, more likely to see breakthroughs and more able to make sense of your unanswered prayers, too. It's full of honest, hard-won wisdom interspersed with real-life stories - some humorous, others moving - to equip and inspire your prayer life. Journeying through the Lord's Prayer, and accompanied by online videos and discussion starters, it unpacks nine important themes: stillness, adoration, petition, intercession, perseverance, contemplation, listening, confession and spiritual warfare. 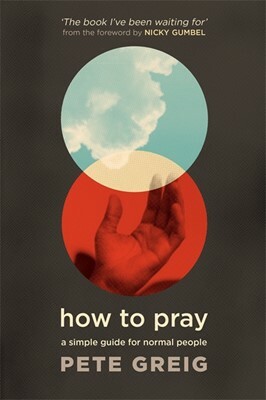 From one of today's most gifted and visionary communicators, for those who've been praying for years as well as those who want to pray but don't know where to begin, How to Pray is the simple, inspiring guide you've been waiting for.